Launching an e-commerce platform is an exciting challenge, but the challenge part grows exponentially as the Internet expands. Competition increases daily. Customers expect bigger, better, and more uniform shopping experiences. Worst of all, your security is never guaranteed. Custom software can bring the excitement back to e-commerce. With unique solutions and integrative options, custom solutions can do things off the shelf options simply can’t match. Custom software is the best option for customer satisfaction, ease of use, multi-channel selling, and security concerns. Multi-channel customers are the best customers. They spend more, pay close attention to your promotions and mailers, and they’re most likely to discuss your business with friends and family in a positive light. It takes a lot of work to win these customers, though, and a lot rides on the software behind your website. Multi-channel shoppers expect the same experience, whether they’re shopping through your web app or your brick and mortar storefront. Custom software gives you a lot of advantages right out of the gate. First of all, you don’t have to try twisting an off the shelf solution to provide the kind of options customers would have in the store. Whatever you give your customers in the store, you can offer online. Do you provide free samples in the store? Offer them in connection with a mailer full of future discounts through your web app. This ties in nicely with newsletters. The right custom software can fill the void left by helpful sales associates, too. Your software can help you with the details behind the scenes that impact customer experience, too. For example, if your software provides real-time updates on available merchandise, and you link that with your in-store manifests. Then online shoppers won’t suffer the frustration of selecting an item only to discover it’s out of stock at checkout. What shoppers see on the shelves, whether they’re physical or digital, is what’s actually available. This builds the kind of long-term trust multi-channel shoppers need. Mobile shoppers are an entirely different demographic than multi-channel shoppers, but custom software can still help you reach them. Custom software developers help you build a mobile app that offers everything your store and web app provide. They even back it up with integrative software solutions. The same connections that are so vital for online, multi-channel shoppers turn mobile shoppers into customers. Keep in mind mobile sites are technically just another channel for buyers. Since prefabricated mobile site formats are just as static as their web equivalents, choosing a custom approach is the only way to ensure uniformity. Mobile sales are all about speed, and many shoppers make same day purchases. Mobile shoppers have the fastest average conversion times, so streamlining that funnel is imperative. Custom software creates the fastest shopper funnels and the best buyer experiences. No one likes to talk about accounting, bookkeeping, and the wonderful world of business number games. Unfortunately, e-commerce makes that chore all the more important. It also makes it vastly more complicated. Custom software offers solutions that extremely few off the shelf products can match. For example, by linking revenue streams to flow into the same bookkeeping program, you’d save a lot of costly labor time. By addressing shopping cart application design, you can save a lot of steps down the road. You can also ensure the system matches your established accounting and bookkeeping workflow instead of complicating it. Security is a greater concern than it’s ever been before, especially for businesses involved in e-commerce. Getting hacked is no longer a risk; it’s a guarantee. In order to protect your business and your customers, you have to plan ahead and take a proactive approach to your web apps’ security. This involves a lot of simple tasks, like changing passwords and using secure connections. It also takes a new approach to security, and that’s where custom software development comes in. The harder hackers have to work to get into your system, the less likely they are to finish the job. It becomes a matter of profit. Also, hacking a unique security system that differs from every other e-commerce websites’ makes you a less appealing target. After all, what’s the point of forcing your way into a single business when you could spend the same amount of time securing the keys to dozens of others in one go? Custom software offers solutions to every e-commerce frustration from bookkeeping complications to security. It’s the best choice for customers as well. 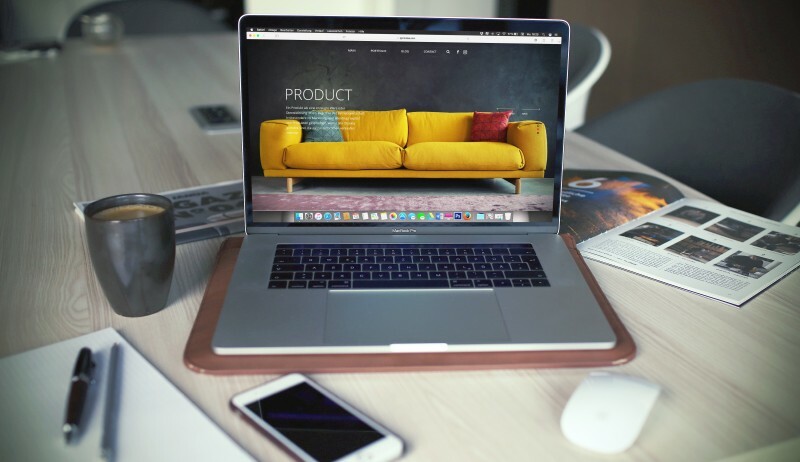 Not only does it make multichannel selling vastly less complicated, but it provides the kinds of options and services you need to grow your customer base. When you decide to go mobile, the same developers will have your back. It’s the smart way to move into e-commerce.